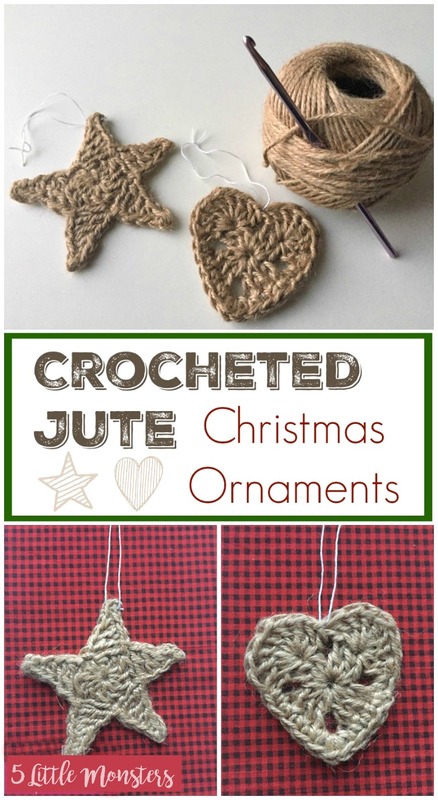 These crocheted ornaments are made with jute instead of yarn. 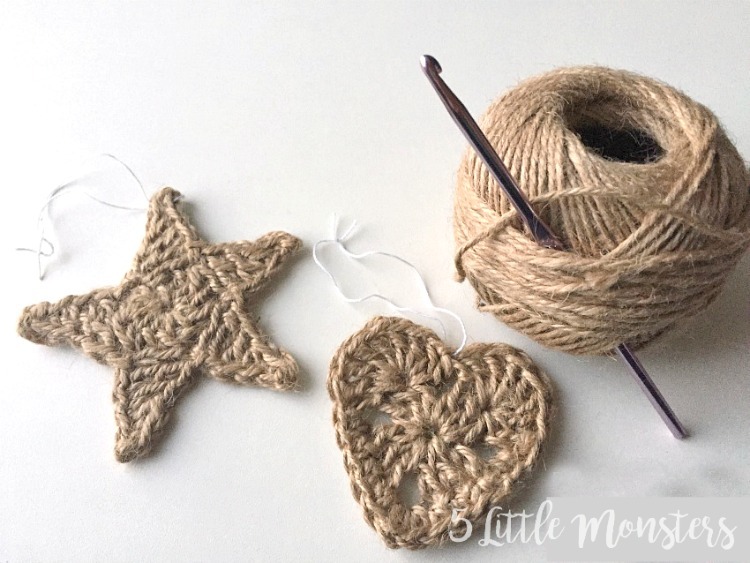 Although you could make them with yarn if you wanted, cotton yarn would work especially well as it tends to be a little stiffer and holds it shape better than some other yarns. They would also look nice and festive in a sparkly yarn. 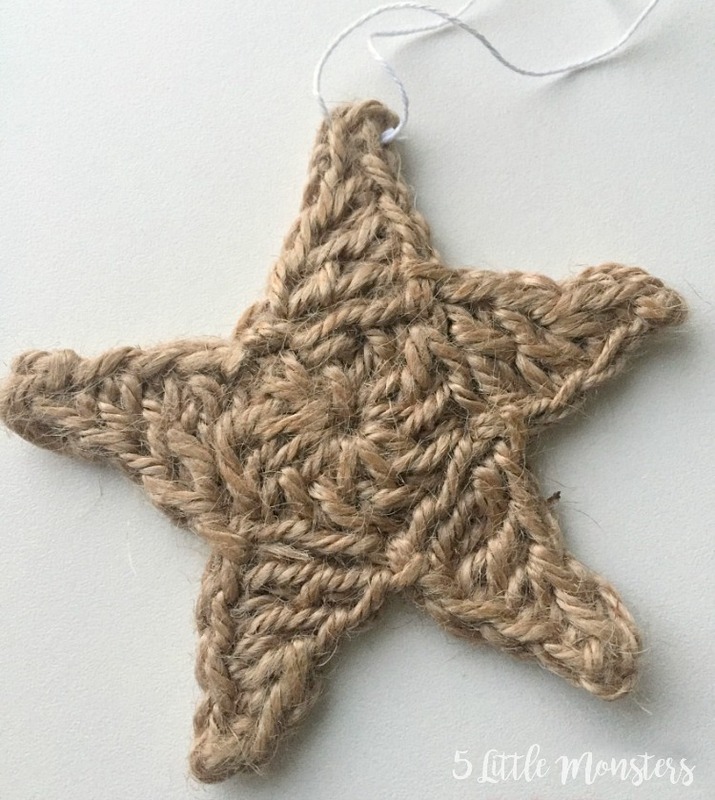 When I made them I had a ball of jute leftover from another project and thought it would work well for some sort of rustic Christmas ornaments. 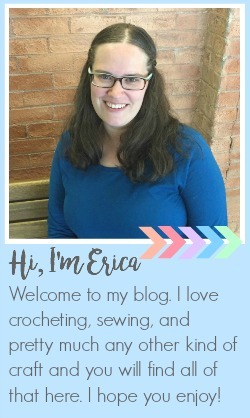 I just wanted simple, flat shapes since I knew that the jute would not crochet tight enough to make something stuffed. I chose to make a heart and a star. 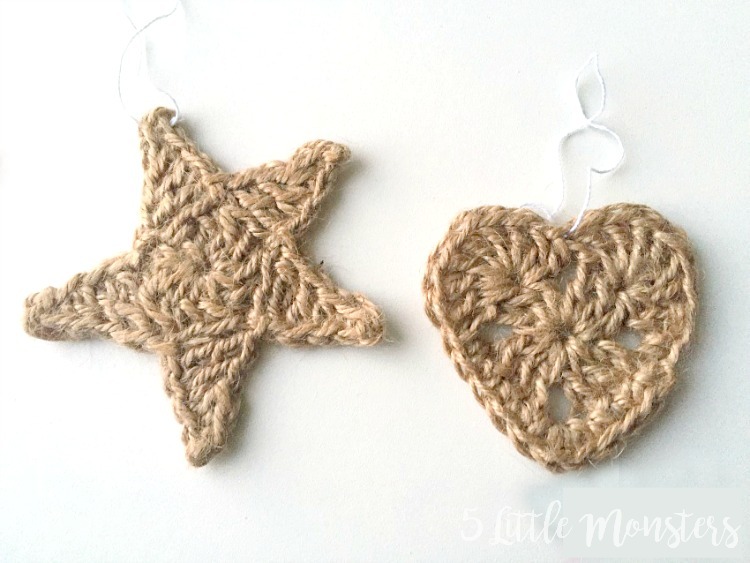 These ornaments are great if you want a really easy crocheted ornament. They take hardly any time to make so you can make as many as you need. And by simply using something other than jute you could easily change the look to match any Christmas decor style. 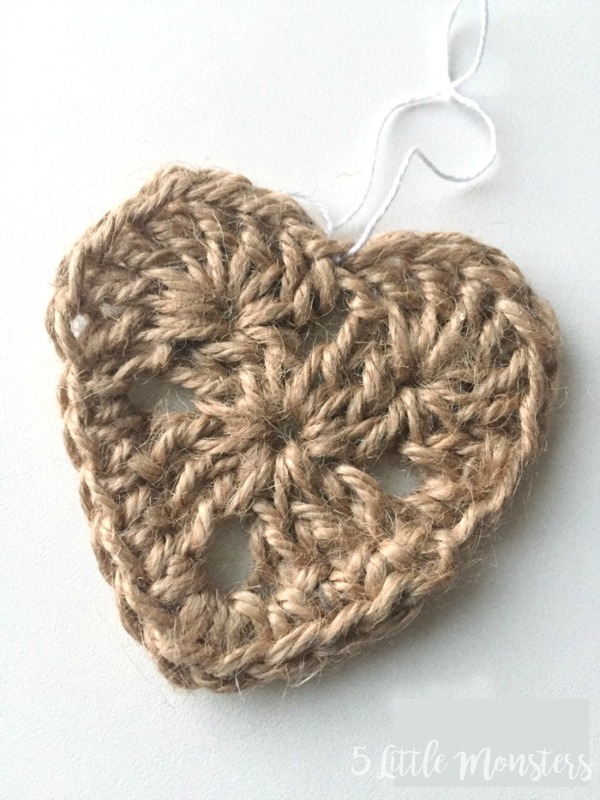 Super simple and really versatile, a quick and easy project for a busy time of year. These are terrific! Now, I have to get some jute. Thank yiu.